facing longer than normal. 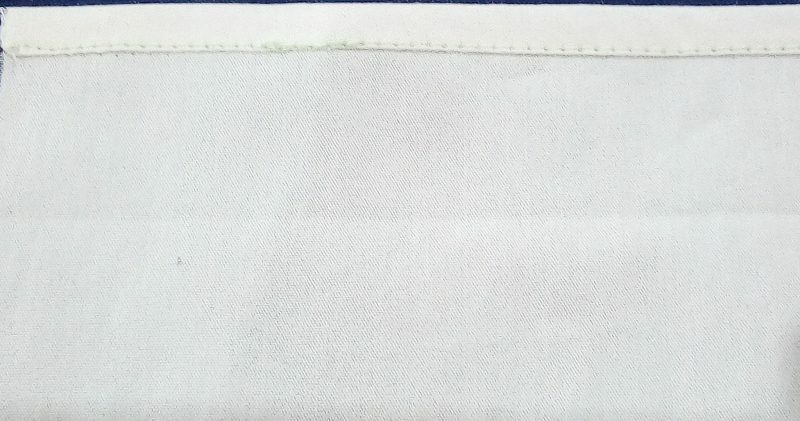 This longer facing is then turned to the right side, to form the flap. 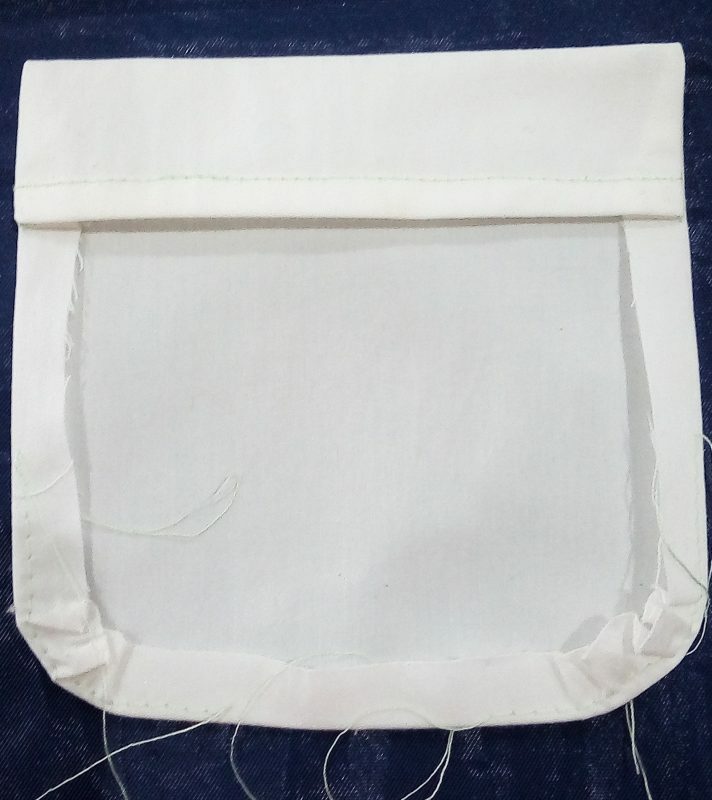 The second method is to attach a separate flap to the garment, just above the pocket. 1. Draft a pattern for the pocket as illustrated. 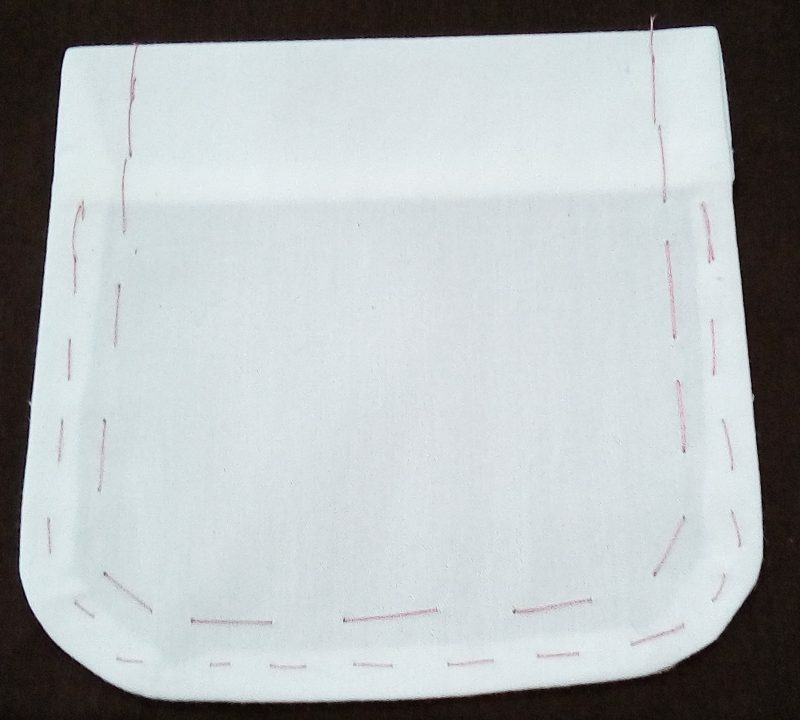 Pin the pattern to the fabric and cut the pocket out. 2. 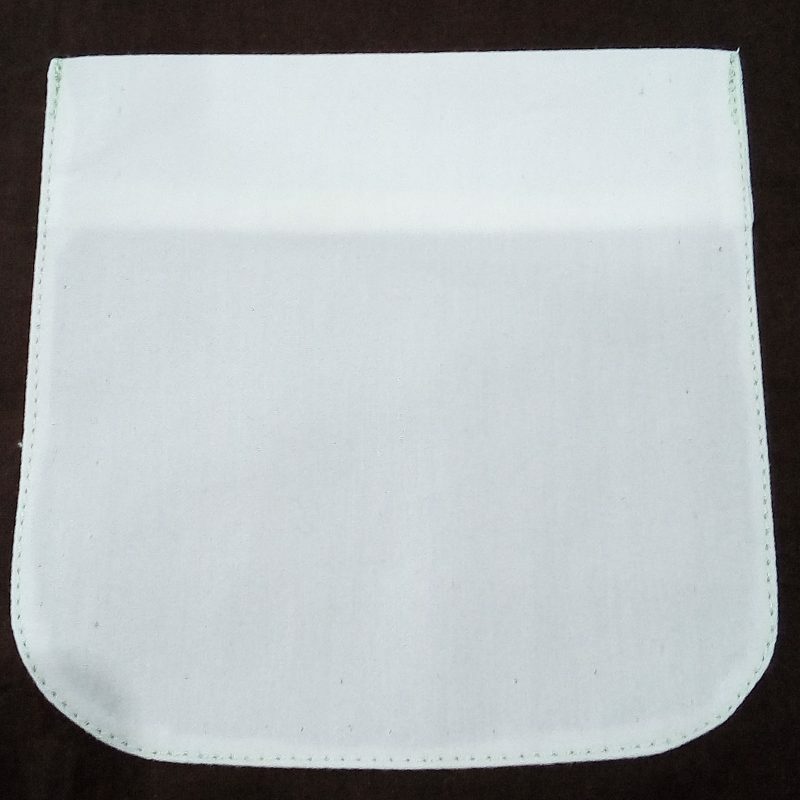 Fold over 1/2 cm of the facing seam allowance to the wrong side of the pocket and press. Repeat again. 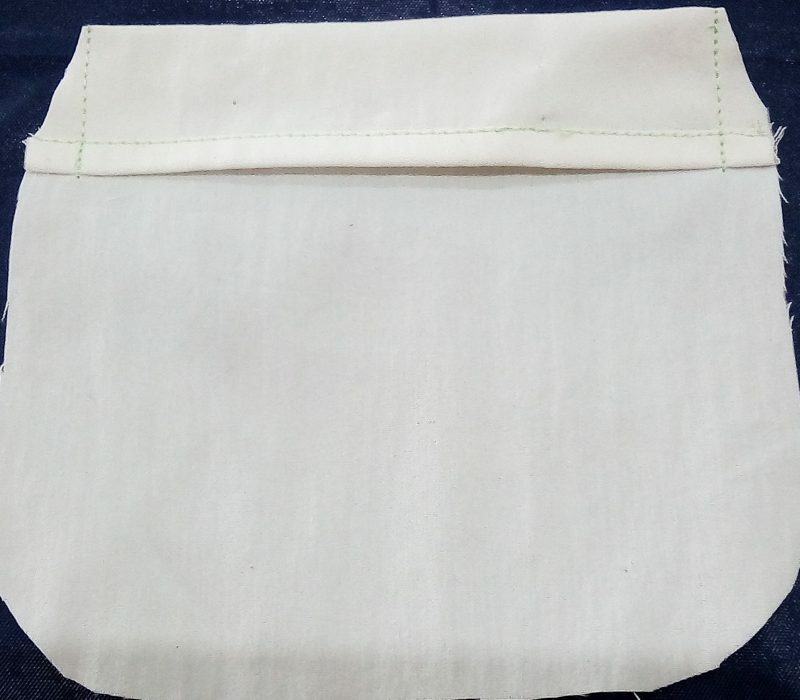 Tack and machine stitch on the folded edge. side on the seamline. Cut the corners of the facing. 4. Edgestitch the rounded seamline. 5. 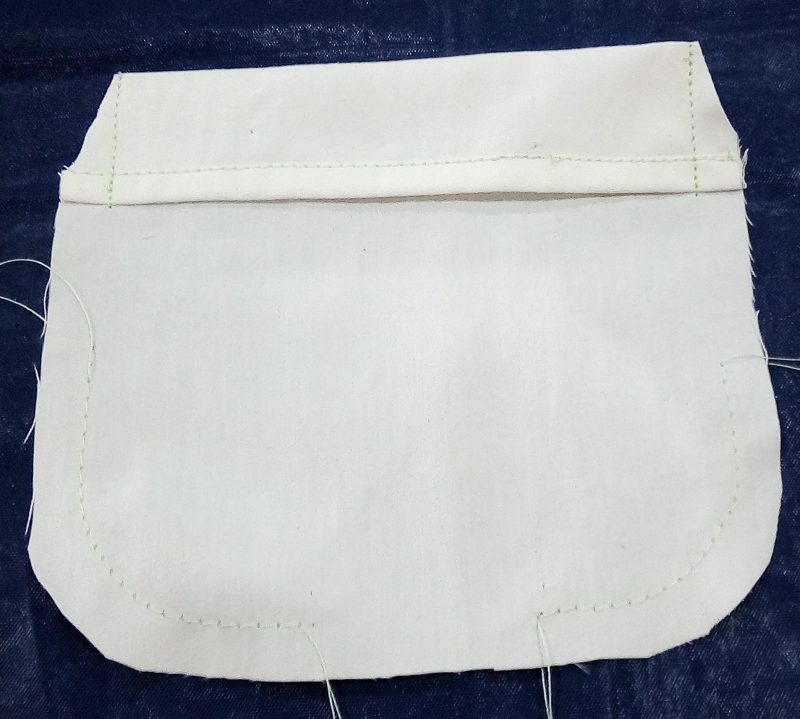 Pull the thread of the easestitching at the corners to shape the curves of the pocket. Turn the facing to the wrong side. 6. Notch the curves. 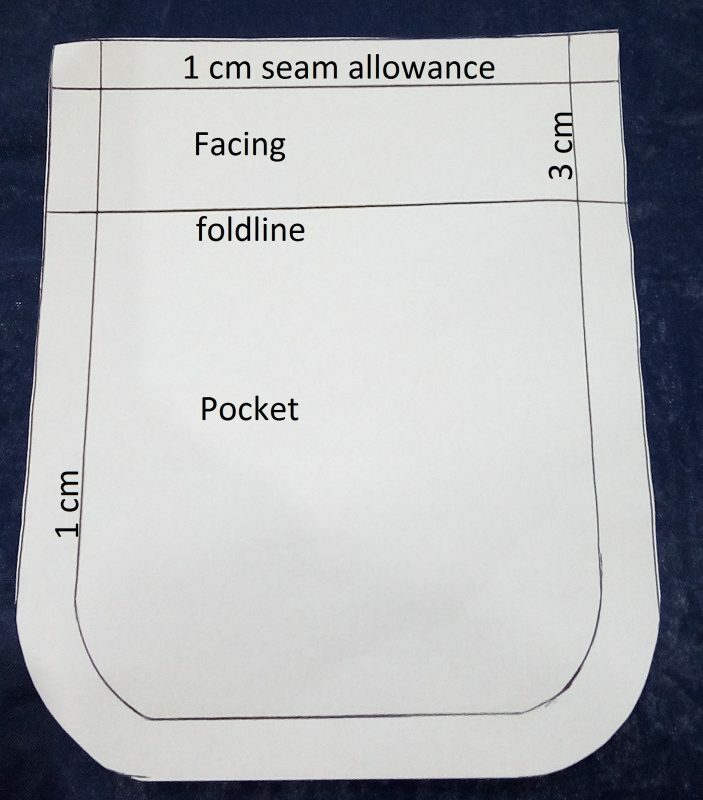 Tack the seam allowance. 7. Pin and tack the pocket to the garment. 9. 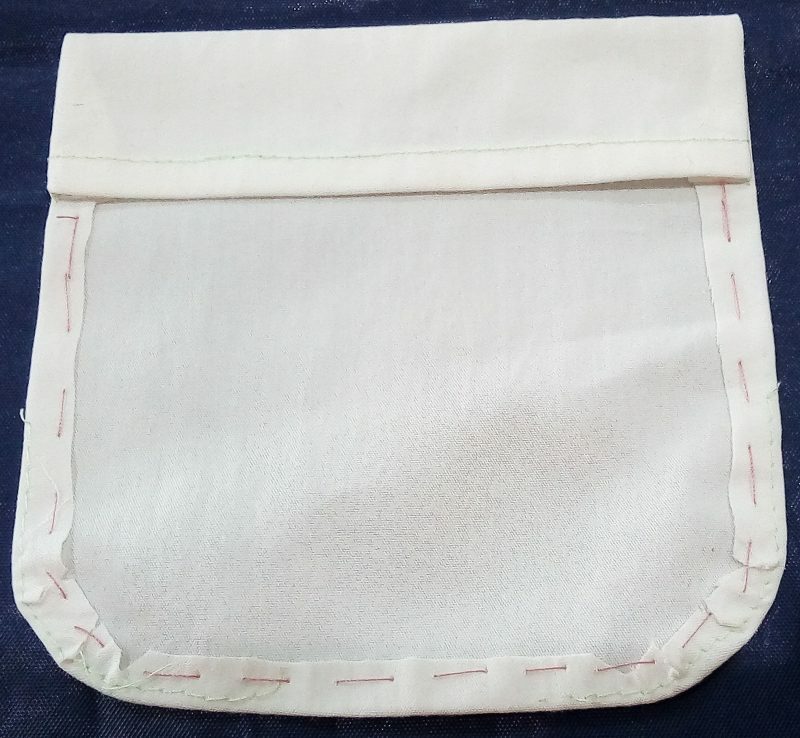 Cut a pocket flap and facing. 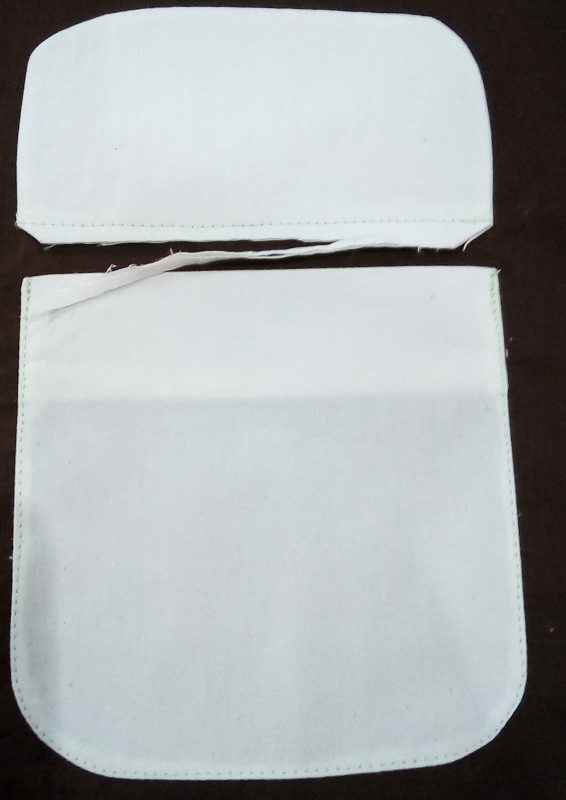 Iron interfacing on the flap. 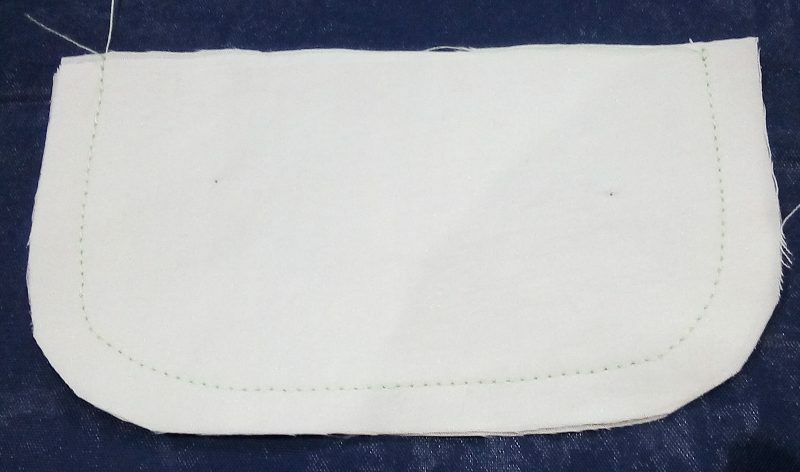 With right sides together, pin the flap to the facing and machine stitch together. 10. Trim the seam allowance and notch the corners. 11. Turn the flap to the right side. 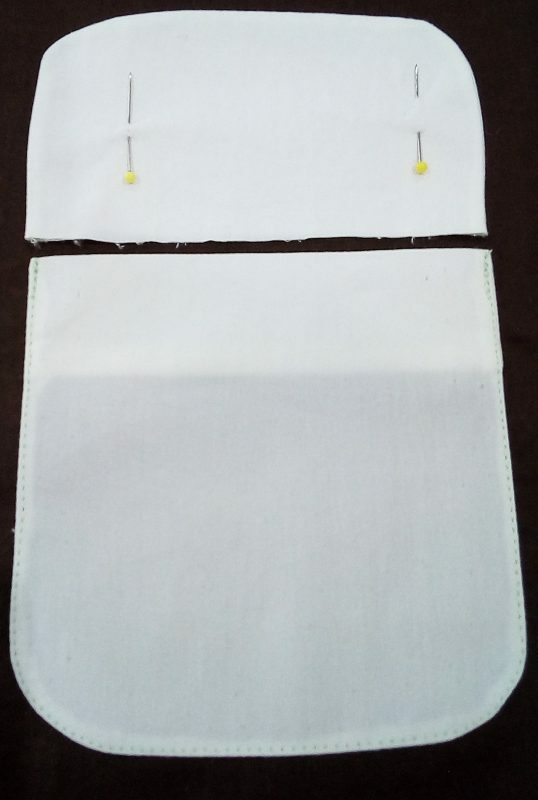 Pin the flap to the garment right side, about 5 mm away from the pocket. 12. Machine stitch the flap in place. Cut the corners and trim the seam allowance. 13. 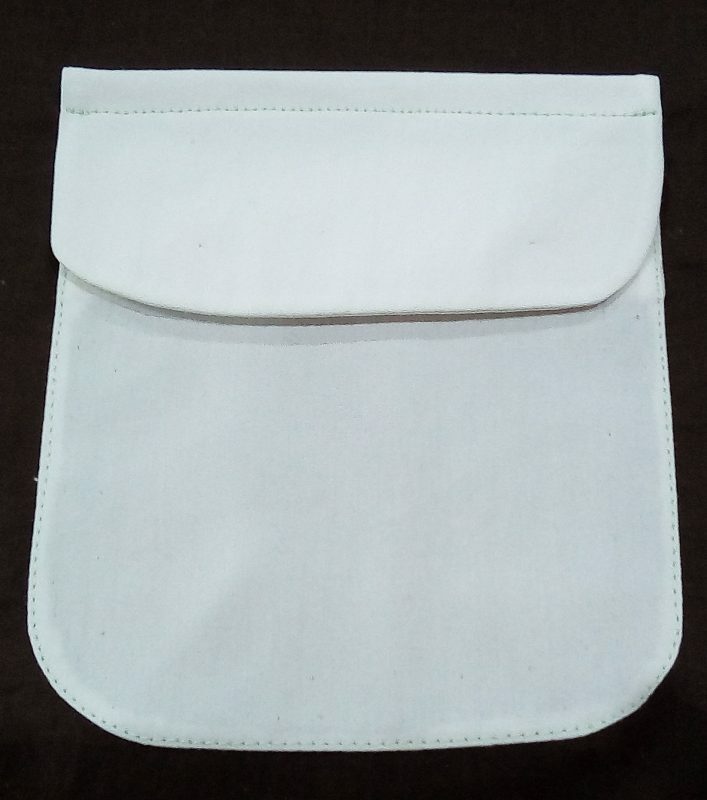 Fold the flap down over the pocket. Pin and tack the flap in place. Top stitch about 5 mm from the edge of the flap. Press the pocket. Next Printed Peplum Summer Blouse.